After being reintroduced to the park in 1978, Tule elk are now numerous at Point Reyes National Seashore. While naturalists view their comeback as a success, local ranchers consider the large deer pests that compete with their cattle for food. Cows graze to the edge of the continent, where green hills terminate at a broad sandy beach. Beyond, the blue-gray ocean extends to the horizon. "Some days, that's just solid elk out there," said Tom Baty, pointing across the public ranch land of Point Reyes National Seashore. Tule elk once roamed the area by the thousands. European American hunters came a few rifle shots from exterminating the animals from their entire range in the late 1800s. A handful of elk were reintroduced to the park in 1978, and their population has exploded. Today, the giant deer roam much of the area, and to naturalists like Baty, the elk represent a marvelous success story. But to some of the ranchers who graze cattle on this public preserve, the elk are pests. They jump fences, often damaging them as they do, and they compete with the cattle for food. Other than a mountain lion or two that may roam the peninsula, nothing preys on the elk of Point Reyes. While some are contained behind a fence near Tomales Point, others are free to roam most of the peninsula. As this herd continues growing, tensions will, too, and the National Park Service will have to respond — possibly by removing cattle, and almost certainly by removing elk. Both these options, plus others, are now on the table as the park service drafts a new 20-year management plan for Point Reyes and the adjacent Golden Gate National Recreation Area — something they are required to do as the result of a 2016 lawsuit filed by three environmental groups. In that court action, the Resource Renewal Institute, the Western Watersheds Project, and the Center for Biological Diversity alleged that the park service was repeatedly extending ranchers' land leases without adequately considering the impacts of cattle on the landscape. While the outcome was considered a victory for wildlife advocates, who say they want ranching more tightly regulated but not eliminated from the park, the future of the seashore — and its growing elk herd — is still very much undecided. Management alternatives under review include banishing ranching altogether, phasing out dairy operations but not beef, exiling the elk from the park's pasture areas, and granting ranchers the freedom to diversify their operations. This latter option would allow ranchers to keep other species of animals, like sheep, goats, and pigs, and run small vegetable farms. It could even allow ranchers to lead farm tours, host wedding parties, and operate bed-and-breakfast ventures. "Maybe we could have an Airbnb out here," said Claire Herminjard, who runs cattle on the peninsula with partner David Evans, founder of the Petaluma meat company Marin Sun Farms. This vision of the park — a blend of undeveloped wild country and moderate human impact — calls to question what national parks are for and what is meant by the very concept of wilderness. Many naturalists believe parks must be refuges for wildlife, free of human industries, where — as the adage goes — people take only pictures and leave only footprints. Cattle ranching doesn't fit into this system. Others, and not just farmers, feel differently. "There's this idea in America where we've all learned that parks should be big, empty nature," said Laura Watt, a land use policy expert and professor at Sonoma State University who supports Point Reyes ranching. Point Reyes' ranchers, who once owned the peninsula but today lease its land from the federal government, find themselves facing off with litigious advocacy groups. However, the matter is not quite as simple as a conflict of environmentalists against farmers, since many Point Reyes ranchers consider themselves environmentalists as well. "We've been models of folding environmentalism into ranching, and ranching into environmentalism," Evans said. He and Herminjard graze beef cattle on 800 acres at Point Reyes, and they argue that pastured cattle can provide a variety of benefits for native flora and fauna, as well as for visitors. "People come to Point Reyes not only to see wildlife but also a historic lifestyle of environmental ranching," Evans said. The unfolding saga could set a new precedent for American parks that has environmentalists on edge. "We're concerned about the direction this is going," said Jeff Miller, the local conservation advocate at the Center for Biological Diversity. "President Trump has been loading federal agencies with people hostile to the original goals of those agencies, and hostile to natural resources." Miller warns that the Department of the Interior is poised to allow a "corporate takeover of public lands." Baty, who lives on a forested ridge a long stone's throw to the east of the park's wilderness, wants clear lines drawn in the sand. He said he does not want organic vegetables or berries grown in the national park, and though he opposes terminating any ranch leases, he feels ranchers must be a little more accepting of the reintroduced native elk. "We're smart enough people to figure out a way for the free-range elk herd to continue their free-range behavior without the ranches having to be shut down," he said. Tule elk once grazed the grasslands and foothills of California in huge numbers, with the animals' population roughly equaling the current human population of Oakland and Berkeley combined. European Americans, in classic style, almost eradicated the elk. By 1870, when grizzlies were still common in much of California, the elk were gone. Herds that ecologists guess had amounted to half a million animals just 20 years earlier had been thinned to possibly as few as 10 individuals, these preserved on a ranch near Bakersfield. Strident efforts to save the tule elk — one of many distinct subspecies of North American elk — were very successful. The herds grew, and animals were relocated to various regions of the state, where they seeded new populations. In 1978, eight females and two males were moved from a reserve near Los Banos to the blustery green hills of Tomales Point. On a retired cattle ranch, the animals' numbers grew, and grew, and grew. In 1999, 28 elk captured from the Tomales Point preserve were released into the designated wilderness area near Limantour Beach. Today, about 6,000 tule elk run wild in California, and the Point Reyes peninsula hosts nearly 700 of them. They are generally considered to be centered in three groups — the Tomales Point herd, the Limantour herd, and the Drakes Estero herd. The Tomales Point animals, numbering about 400, are isolated on their wilderness promontory by a giant fence that crosses the entire peninsula and enters the water on each side. 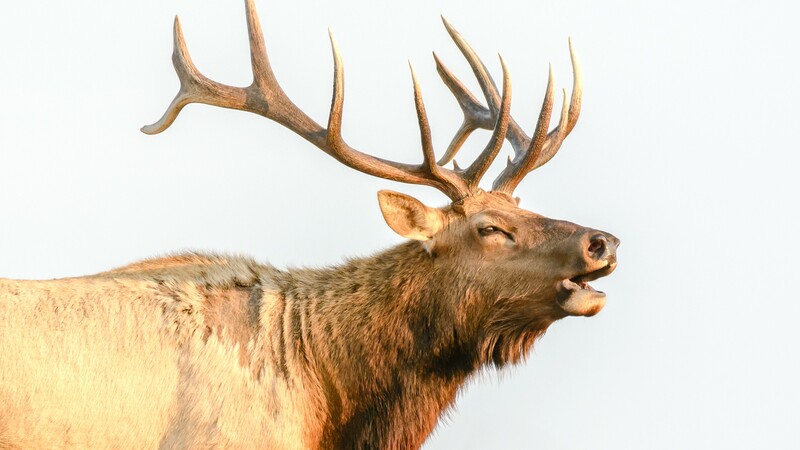 However, the elk of the Limantour and Drakes groups — numbering about 150 and 110, respectively — have free range of much of the park. Standing at the Drakes Estero trailhead, Baty looks southwest, across a broad sweep of rolling green hills, scattered eucalyptus thickets, and, of course, cows. "This is pretty much ground-zero for the elk issue," he said. Here, the leased acreage of the Home Ranch, where several hundred beef cattle graze, abuts the wilderness area to the south — a demarcation visible up close as a frontier between trim and tidy pasture and shrubby thickets of coyote brush. It is near here that the Limantour elk crossed into the pastoral zone soon after they were let go into the wilderness. Today, the elk routinely graze a stone's throw from the cows — and this interaction, some ranchers say, is a serious problem. "It's almost impossible to have dairy ranches with the elk there," said Bill Niman, a rancher with 206 acres on the Point Reyes peninsula. "They jump over fences, they eat the same food as cattle, and — guess what? — they reproduce." Watt, at Sonoma State University, also said the elk threaten the ranchers' livelihoods in a direct way. If the big deer eat too much of the park's grass, she explained, ranchers may be forced to buy feed from offsite — a maneuver that can imperil their certified organic status. "With the difference in price between organic and conventional milk, that would cause the ranchers to go out of business," Watt said. About 6,000 cattle graze on the peninsula — 10 times the current elk population. Still, the elk's numbers are growing quickly, creating an issue that park managers, ranchers, and naturalists all know will need to be addressed eventually, and it probably will be with specific language in the next park management plan. Because some of the elk are known to carry a chronic wasting disease — Johne's disease — relocating them to other parts of the state is not an option, and elk management in the future will almost certainly involve euthanizing them, probably with rifles. In spite of clear disagreements and heated debates between sides, Herminjard and Evans are adamant that what some people call a conflict or controversy is actually a unique form of continuous collaboration between different user groups. They said mainstream media tends to falsely simplify the narrative in a negative light. Evans said his cattle and the wild elk graze the hills more or less oblivious to one another — mainly, he said, because he and Herminjard keep a manageable number of animals and rotate them through their pasture areas in a mathematical system aimed at promoting lush grass growth and building a healthy prairie ecosystem. "We basically see our operation as a form of harvesting solar energy," Herminjard said. She and Evans practice the basic land management tenets of carbon farming, a system of growing food in a way that locks carbon, drawn from the atmosphere via photosynthesis, in the ground by rarely or never tilling the soil. Most farms are carbon emitters, but carbon farming can make an operation carbon-neutral or -negative. Herminjard and Evans consider their farm to be in harmony with natural ecosystems. "But the story always seems to gravitate toward ranchers versus environmentalists, or ranchers versus the park service, or ranchers versus elk," Evans said. Dave Press, a wildlife ecologist with the National Park Service, said grazing cattle can provide benefits for native animals and plants. Ponds created as drinking reservoirs for cattle in Point Reyes and the Golden Gate National Recreation Area happen to provide habitat for the endangered red-legged frog. Grazing also controls invasive weeds and in some cases has been shown to make more room for native plants. Press said the park service even has an arrangement with one rancher whose cattle are used specifically for this purpose. Evans recounts how he and other ranchers in the park collaborated with ecologists about 15 years ago to aid an endangered population of frogs by strategically moving their animals through a pasture zone, which cleared out space for the amphibians during their mating season. In California, though, the land has been so altered with the introduction of new plant species and the eradication of native animals that it may be foolish to pretend that parks are preserving natural systems. Cattle, Niman said, now fill critical ecological roles once served across North America by hundreds of millions of deer, elk, antelope, moose, and bison. "It isn't possible anymore to go back to a pristine state, so we have to steward the land," he said. In the mountain ranges of Europe, national parks often feature picturesque tapestries of traditional human industries and nature. Highways cross the mountains, cattle cross the highways, and bears, wolves, deer, and mountain goats still dwell in the high country. Shepherds roam the parks with their herds. There are even villages within many European parks — an accepted element of the wilderness. Ranchers, and academics like Watt, believe such a land use system could be applied in the United States, or at least at Point Reyes. "When [Point Reyes National Seashore] was created, it was a different type of vision for a new kind of park," said Albert Straus, founder of Straus Family Creamery. Straus runs his cattle on private land to the east of the Point Reyes peninsula, but he buys milk produced there. "I believe the park and the farms can work in harmony with the environment, and in a way that's beneficial to the community." He added, "The U.S. is one of the rare cases where farming is not usually a part of national parks." But he thinks it could be, at least in the Point Reyes National Seashore. So do many other farmers. Ranching began here in the 1800s — a deep-rooted past, though not exactly a heritage stemming from the dawn of time. After the Miwoks were displaced from Point Reyes, a handful of European American families claimed the hills. With the establishment of the park in 1962, the federal government formally declared intent to acquire the privately owned acreage. By the early 1970s, most of the acquisitions were completed. At this point, the federal government owned the ranches but leased the properties back to the families. "So the public really owns this land," said Deborah Moskowitz, president of the Resource Renewal Institute, the Mill Valley organization that led the 2016 lawsuit against the park service for its management strategies at Point Reyes. The ranchers, she added, are the tenants. "And the park service is like the property manager," she said. Moskowitz said she doubts what ranchers claim — that many people visit the park to see cows, trailside water troughs, heavy farm machinery, silage mowers, miles of fences, and other elements of farm life. In a 2003 telephone survey commissioned by the Point Reyes National Seashore Commission, 87 percent of 418 Bay Area respondents said it was "very important" for a national park to protect wildlife habitat. Only 30 percent said the same for protecting small dairies and beef ranches. Ten percent of those surveyed said it was "very unimportant" to preserve small cattle farms on national parkland, while no respondents said so for protecting "rare species of plants and animals." 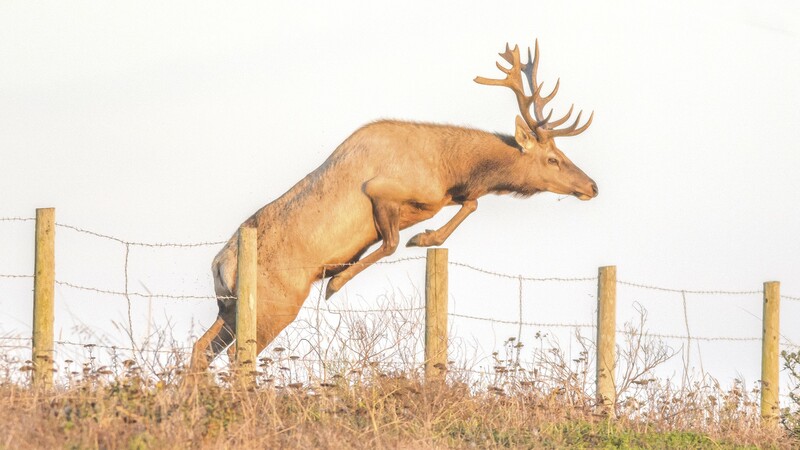 If honoring local history is so important in managing the Point Reyes seashore, Moskowitz added, then elk — although a latecomer to the current stakeholder debate — should be prioritized. "If you want to look back just a little further into history, you'll see the wildlife was there first," she said. Few environmentalists are pushing for complete elimination of ranching on the Point Reyes peninsula and adjacent public lands. Miller explained that the plaintiffs in the 2016 lawsuit want tighter controls on ranching activity to address erosion and water quality problems. In some cases, he noted, that might mean ending leases of ranches found to be in chronic violation of environmental regulations. The lawsuit was also aimed at helping identify and quantify the impacts of cattle grazing on the landscape before considering extending the leases. And it was intended to address the "diversification" proposal, which was introduced by ranchers in 2014 as a suggestion of new practices that might be permitted to allow farmers, struggling in the trade of producing beef and milk, to make ends meet. Diversification could allow the keeping of other kinds of animals besides cattle. It could even turn farms into tourist attractions. Such ideas as "Tours with visitors and weddings," "Farm Stay/Bed & Breakfast," and "Collaboration with the park on education programs for public" were described in a park planning process, now posted online. "'Diversification' is a nice word that people like but it really could be a disaster for the park," Miller said. Baty said he is concerned that such a path forward will create new conflicts with the native predators that still occupy the peninsula, like raccoons, skunks, foxes, bobcats, raptors, and coyotes — midsized animals that ecologists call mesopredators. Evans said there is nothing to worry about, at least not on his property. "It is quite the opposite," he said in an email exchange. "The small and mid-size predators will benefit from another food source. We graze chickens in our pastures. We only use non-lethal predator control deterrents and they are quite effective." Across America, the dairy industry, once built of several million small family-owned farms, is becoming consolidated. There are now about 40,000 individual dairy farms, according to Straus. He sees Point Reyes as a vital stronghold for some of the country's remaining small dairies, which in turn support the local economy and local community. He warns that any management changes that make business more difficult for the seashore's farms will knock them out of business. Stacy Carlsen, Marin County's agricultural commissioner, was quoted in the San Francisco Chronicle last July saying that exiling ranching from West Marin's public lands could create a "food security" issue, a dubious claim of a cottage industry specializing in boutique cheeses and grass-fed beef. Not everyone believes many visitors come to Point Reyes to see cows and farmers. However, Press said many visitors "are charmed by" the cows. "You do often see people at the side of the road taking their selfies with a cow behind them," he said. Evicting the ranchers would essentially mean terminating their businesses and booting them from the only lifestyle, home, and line of work they know. Evans said many of the ranchers have no other source of income and that "you cannot just move a dairy or beef ranch somewhere else; it's not that simple." The park must come up with a new management plan by July of 2021, and with the terms of the 2017 settlement allowing the existing ranching leases to continue on a status quo arrangement through the duration of the current management plan, it seems unlikely that local ranchers — familiar faces to park staff and many locals who frequent the park — will get the boot. A 2014 planning document posted on the park's website says "[r]anching has a long and important history on the Point Reyes peninsula" and calls the farms "a vibrant part of Point Reyes National Seashore" and "an important contribution to the superlative natural and cultural resources of these [National Park Service] lands." The more relevant question is probably how these ranchers will be allowed to supplement their livelihoods, how they will be required to modify activities — especially mowing — to benefit wildlife, and how park staff will deal with the multiplying elk. Niman pointed out the elephant looming in the room: Removing ranchers to make room for the elk will only delay meaningful action. Eventually, some elk will need to be either relocated or shot. "If you bump out the ranchers to make room for the elk, then where does it stop?" Niman said. "Will they eventually let the elk into Mill Valley? They need to be culled." He thinks the park should shoot a few animals each year and donate the meat to a food bank. Baty more or less agrees. "You have to control their population," he said, suggesting that the idea of limited elk hunting within the park would be a suitable if controversial solution. Straus is less sympathetic to the native elk. "The elk were never meant to be in this park," he said. Niman dismissed the groups that sued the park service as "extreme environmentalists and wild animal supporters" who are forgetting the service that ranchers have provided by preserving the Point Reyes peninsula. "It could have been golf courses along the cliffs out here," he said. He emphasized that the public "can tramp around out here today" because West Marin ranchers preserved the land rather than develop it.